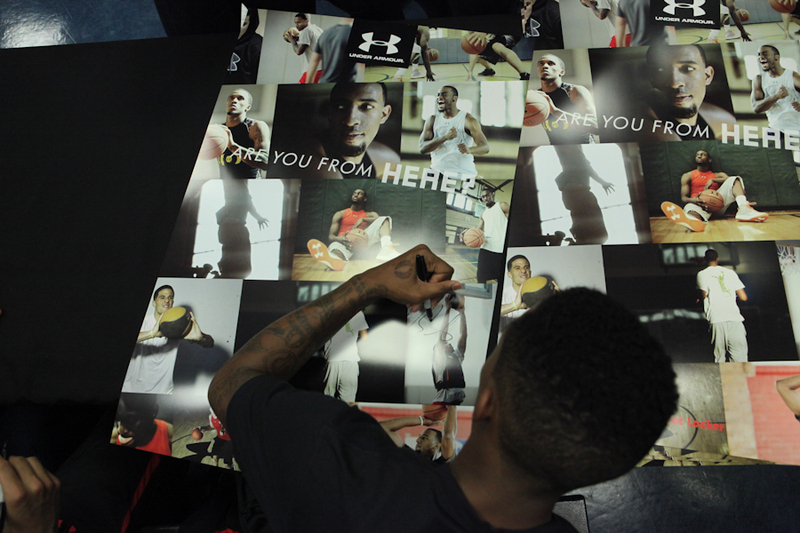 Get an exclusive look at the first stop on the UA Basketball "Are You From Here?" 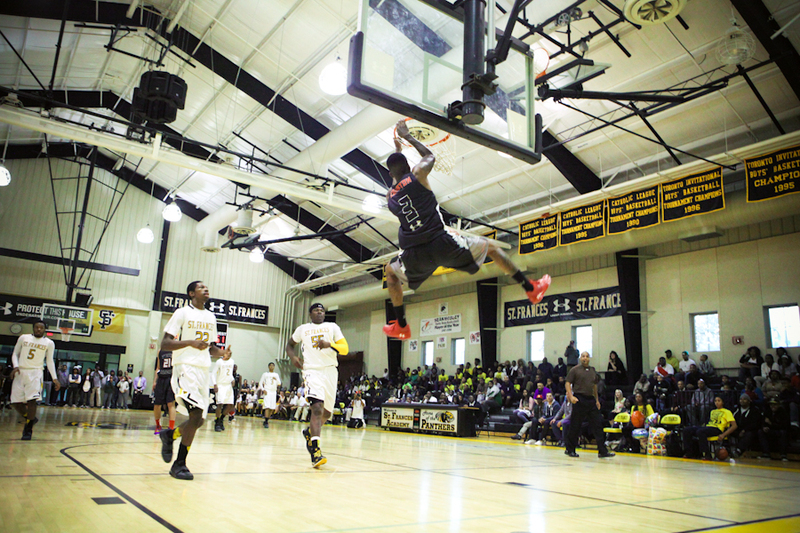 Tour, and catch Game 2 today at Boys & Girls HS in Brooklyn. 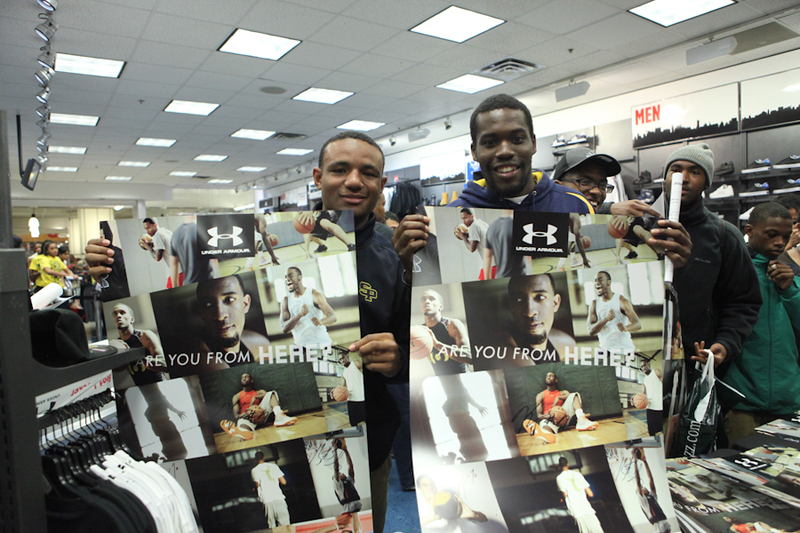 On Monday night in Baltimore, Under Armour Basketball kicked off the first leg of their "Are You From Here?" 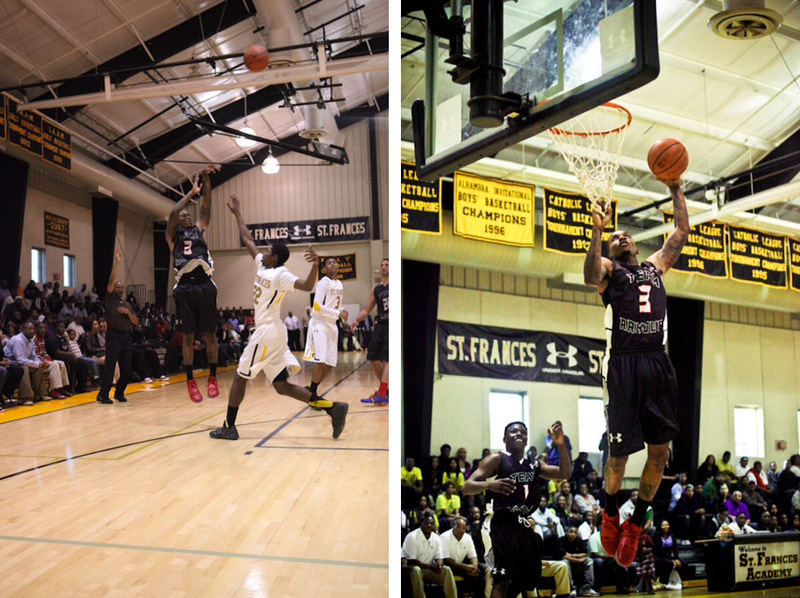 Tour by matching up their pro guards against local powerhouse St. Frances Academy. 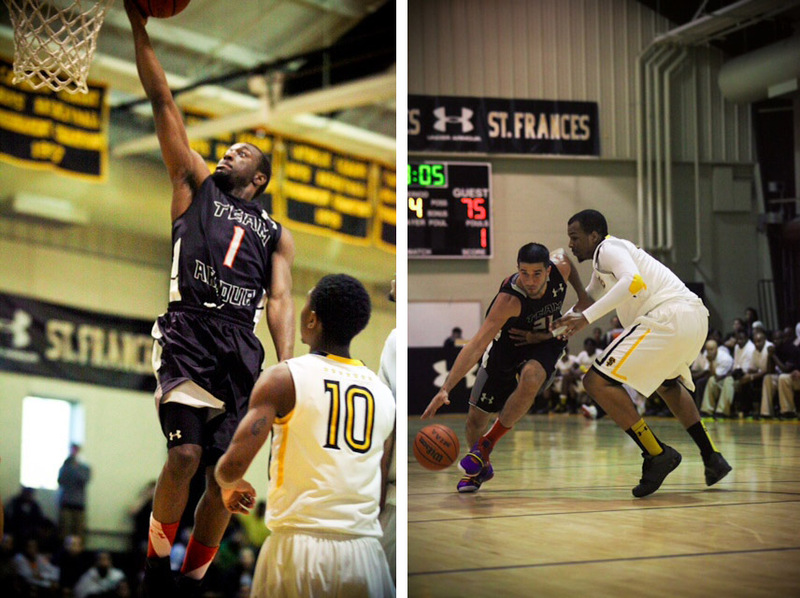 Pros Brandon Jennings, Kemba Walker and Greivis Vasquez led the preps all game in front of a packed gym during a close battle that ended 88-85. 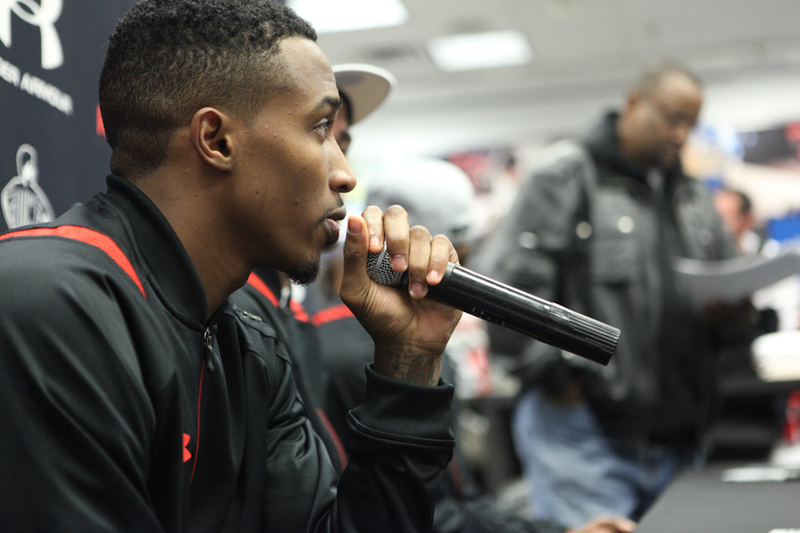 Afterwards, the trio stopped by a nearby Foot Locker for a meet and great appearance and Q / A session, where they each discussed what being from "Here" meant to them. You can catch up with the Under Armour "Are You From Here?" Tour for Game 2 tonight, as Brandon, Kemba and Greivis will be joined on their sweet tour bus by brandmate and 2011 #2 Draft Pick Derrick Williams for a trip to Brooklyn to battle against Boys & Girls High School.